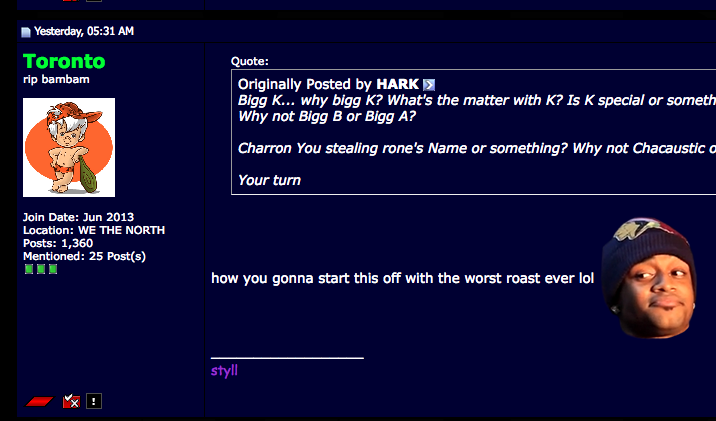 I made a thread For you guys to roast your favorite battle Being the king of Roasting, I roasted Charron and Bigg K.
This is The call out thread. I tried to be nice. You can't back down so you have to Battle me now. Be a man.